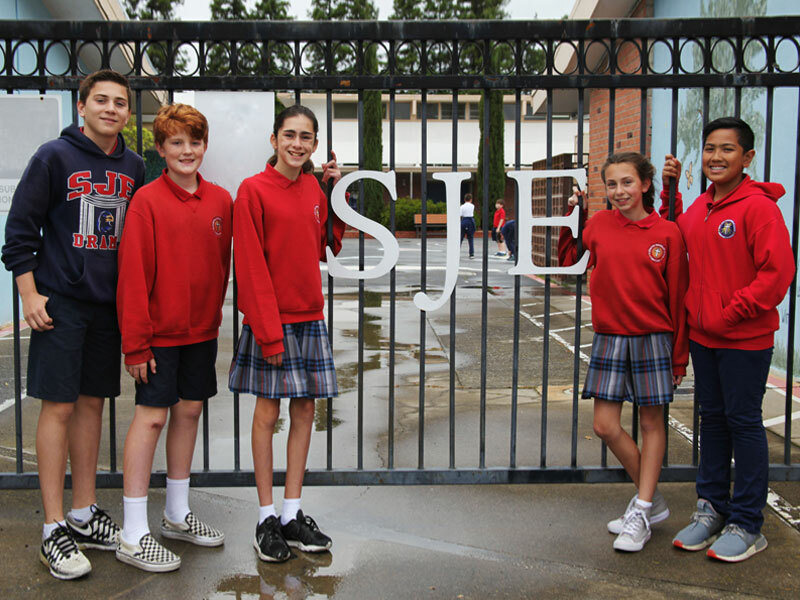 Welcome to St. John the Evangelist Catholic School, a Transitional Kindergarten through Eighth Grade coeducational Catholic school located in Carmichael, California. We are a ministry of St. John the Evangelist Parish and are a part of the Diocese of Sacramento. Academic excellence is the hallmark of an SJE education. The students are challenged to meet the highest academic standards, built on the foundation of Christ’s love. In addition to a challenging curriculum that is aligned with Diocesan and state standards, we offer a wide enrichment program which includes art, music, drama, technology, Spanish, and athletics.